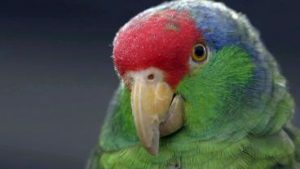 This eleven-minute documentary focuses on the red-crowned parrots of Pasadena and the San Gabriel Valley of Los Angeles. Endangered in their Mexican habitat because of the pet trade and habitat loss, these parrots are thriving in Los Angeles: an introduced bird species living off introduced trees. What happened by sheer luck for these parrots might become a model for urban conservation in the future. Keynote: “Scale and the Novel in the Anthropocene.” Novel Theory: Conference of the Society for Novel Studies. Cornell University. Saturday, 2 June 2018, 12:30-2:15pm, Statler Hotel Ballroom. Keynote: “Tree Stories in the Anthropocene.” Annual Convention of the American Public Gardens Association. Tuesday, 5 June 2018, 12:00-1:30pm, Anaheim Marriott Hotel. Keynote: “Scale and the Novel in the Anthropocene.” Southland Conference, 8 June 2018, 3:30-4:30pm, UCLA, 193 Humanities. Seminar: “Science Fiction and the Imagination of Planetary Futures.” Institute for World Literature, University of Tokyo, Hongo Campus, 16-26 July 2018. Presentation: “Urban Biodiversity and Multispecies Justice.” Symposium: The Environmental Humanities in the Twenty-first Century, Taft-Nicholson Center, University of Utah, 13-16 September 2018. Keynote. International Symposium: Energy, Ecology, and the Culture of Cities, 23-24 November 2018, National Chung-Hsing University, Taichung, Taiwan.